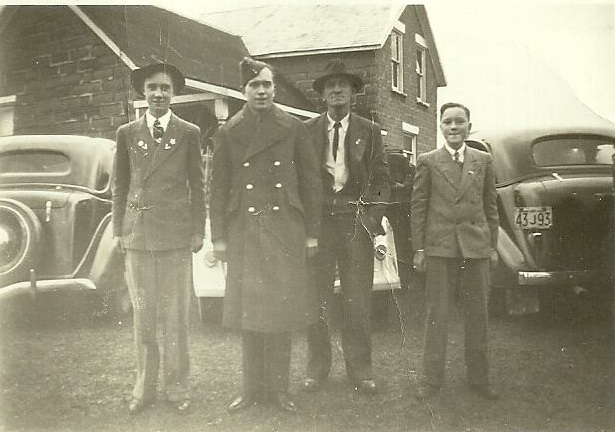 This photo, about 1940, shows L-R: Harvey Nunn Jr., Uncle Bob Nunn in uniform, Harvey Nunn Sr. and Uncle Norm Nunn. Uncle Bob served in Europe and the Aleutian Islands during the Second World War. This shot was taken outside Grandpa and Grandma Nunn's home in Norfolk County.